From left to right: Charles Leno Jr., Brian Bream, Marviel Underwood, Madeleine Briones, Pat Carvalho, Leslie Fouche-Munoz, Sam Cheatham, Jack Gilmete, Jarrad Page and Rich Kerr. The San Leandro Sports Foundation is a 501(c )(3) non-profit organization. 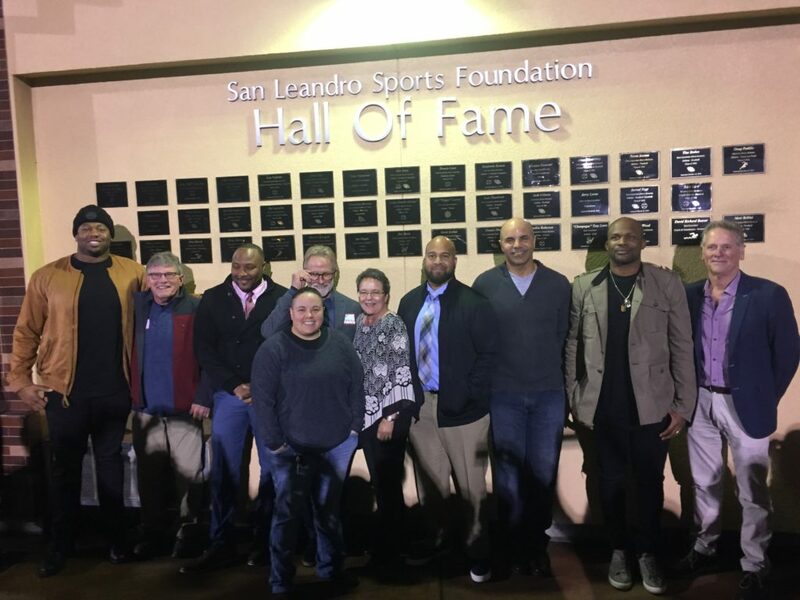 The Hall of Fame event is a fundraiser for athletic/sports programs in San Leandro Schools.